Yesterday, the Hungarian police registered 8.633 irregular border crossings at the Croatian-Hungarian border. Here a report about the situation on the Greek island Lesbos, which is one of the main entry points to the Balkanroute. Yesterday, the Hungarian police registered 7.860 irregular border crossings at the Croatian-Hungarian border. Yesterday, the Hungarian police registered 4.548 irregular border crossings at the Croatian-Hungarian border. The Solidarity group Thessaloniki recently refocussed its work on Idoumeni at the Greek – FYROM border as refugees now chose to go there directly and not via Thessaloniki. In order to continue their efforts to support, the Group urgently needs a van_ to transport supplies and activists. Please contact the group for further details. Update from Michal Berg here. Yesterday, the Hungarian police registered 6.002 irregular border crossings at the Croatian-Hungarian border. 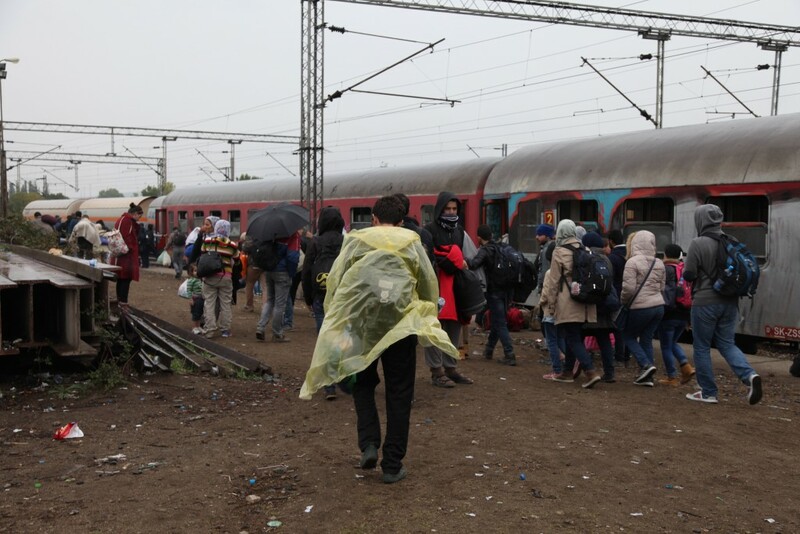 Still, every day thousands of refugees are arriving with trains, busses and taxis at the train station. Sleeping bags, coats, children’s clothing and especially shoes are needed. At the platform the Red Cross and volunteers are present. There is no problem going to the platform but there are more and more reports that the Macedonian customs officers at the Serbian/Macedonian border crossing point close to Tabanovce refused entry because of donations in cars/vans. If possible, buy donations in Macedonia.